This was such a treat, Star Fox is really great. Hopefully, one day The Legend of Zelda will mix with Assassin's Creed, if it ever comes to Switch. One can dream. Anyway, as soon as I heard that little soundbite come out of the cockpit, I knew right away what this was. It's a nice little nostalgic throwback, but unfortunately for Fox and co. it's telling of how Nintendo now views the IP. 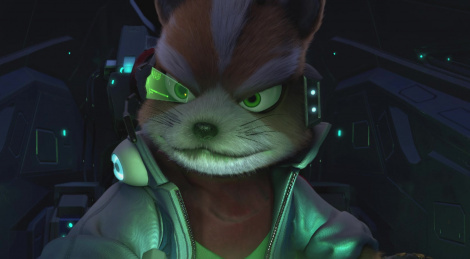 Will Switch ever get a new fully fledged Starfox game? Probably not. I meant like sharing outfits and weapons, like AC:O did with FF15. You can have Bayek's outfit and weapon on FF15, and have Noctis sword and shield on AC:O. So a similar thing would be having the tunic and Master Sword from TLoZ in AC, and having AC outfit and gear in TLoZ. But the chances of Ubisoft making an AC game for Switch are very slim. Though one never knows since both companies are very close now and if Skyrim was able to get TLoZ stuff and Minecraft got Nintendo stuff, anything's possible. PS. Alternatively, Nintendo could add an AC character like Ezio or Altair in Super Smash Bros.